Working in the service industry is exhausting so it’s important to find ways to fight shift-work fatigue. Lots of people think it’s great to have mornings off to sleep in but actually, it can be the worst. 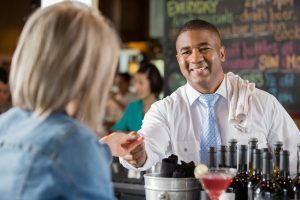 While there are some lucky day-shifters out there, the majority of people in the service industry work extremely odd hours. Sometimes I start at 10 am and finish at 6pm (hallelujah), but other times I work from 6pm-3am. This kind of schedule, especially when it’s not consistent, can really take a toll on your sleep. Read on for some ways to stay rested and fight daytime grogginess. Obviously, this is easier said than done, but do your best to go to bed and wake up at similar times. It may be super tempting to try and “catch up” on your days off and stay in bed until 2pm, but this is ultimately harmful. By keeping your body on a schedule, as best you can, you’ll get more restful sleep, wake up fresher, and fall asleep more easily. If you find that you’re constantly fighting off daytime grogginess, it may be time to hit the gym. You don’t need me to tell you the benefits of exercise on your physical and mental health, but you may not know how good it can be for your sleep as well. Studies have shown that getting the recommended 150 minutes of exercise a week improved the sleep of participants by 65%. They slept better and felt less tired during the day. If you’re a bartender who has trouble falling asleep at night, an afternoon workout could help you get those much needed Zzzzz. An issue I personally struggle with is not eating until late at work. Sometimes I don’t get the chance to have my shift meal until 10 or 11. This means that two hours later, when I’m trying to sleep, I’m wide awake while my body processes the huge helping of carbs I’ve just consumed. If this sounds like you, try having a filling but nutritious meal before work and something lighter if you’re hungry later. This change will boost your overall energy levels and let you rest easy. While it’s tempting to sit down for that shift drink after a long night at work; sometimes it’s best to abstain. 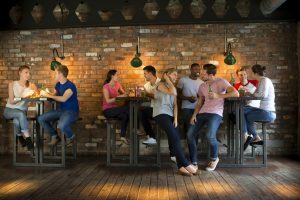 For one, that time you spend sitting at the bar chatting with coworkers is time you could be in bed getting ready for sleep. Secondly, while a glass of wine helps you fall asleep, it can diminish the quality of rest you’re actually getting. If you find yourself tossing and turning at night and waking up groggy, those couple of beers before bed could be to blame. We know that schedules are usually non-negotiable, but from almost ten years of bartending, I’ve realized I’m no longer willing to sacrifice my quality of life for a job. There are laws about how long you can work and how many hours you’re supposed to have between shifts. If you’re being worked to the bone doing turnarounds, have a chat with your manager. You may be pleasantly surprised at their willingness to work with you. While we hope this advice helps, we are not experts in sleep or your health. If sleep and grogginess is a real problem for you, make an appointment with your doctor. 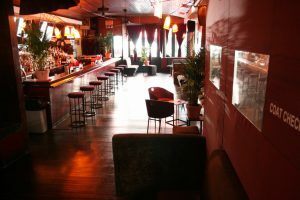 What is Proper Bar Etiquette?